Retirement is a beautiful thing…. the schools’ shirts and memorabilia! 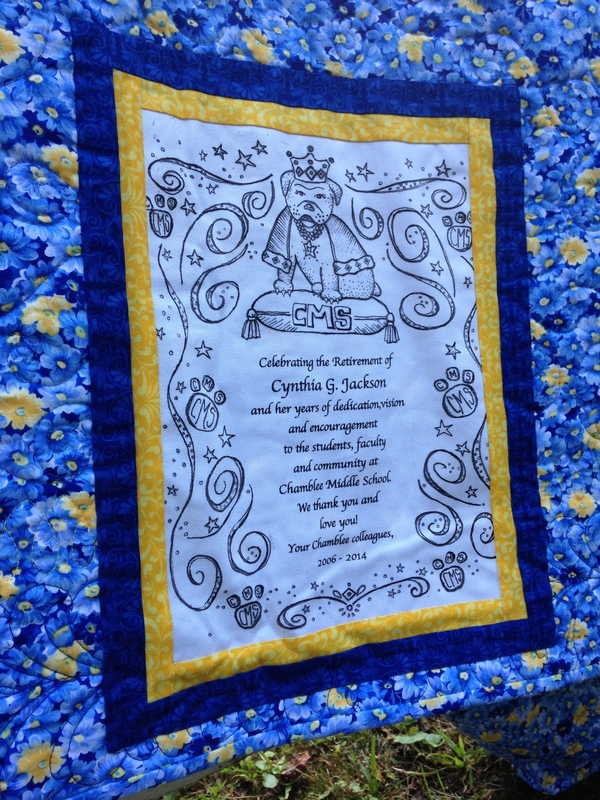 Congratulations Ms. Jackson – may you enjoy this much deserved retirement! 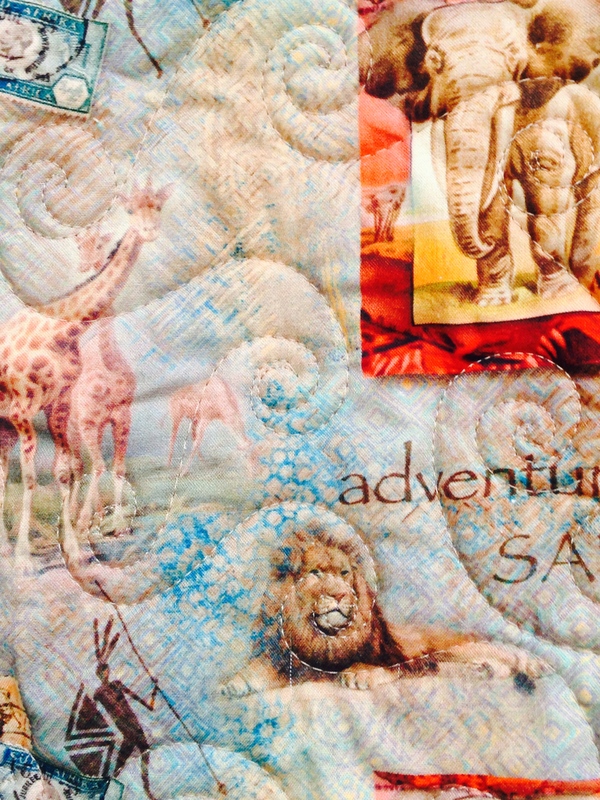 When a friend approached me about creating a Travel Quilt for her sister, I got very excited! 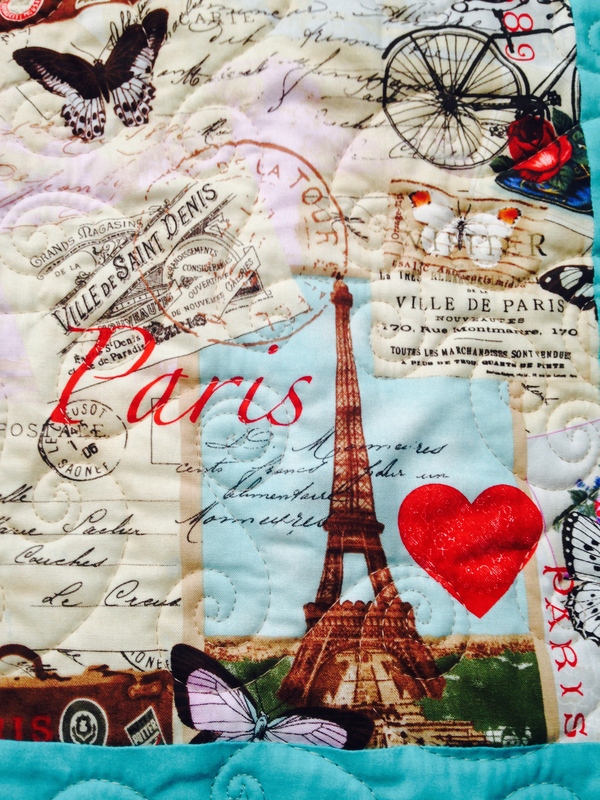 It was fun to find fabrics that journaled the many different countries this lady had explored. 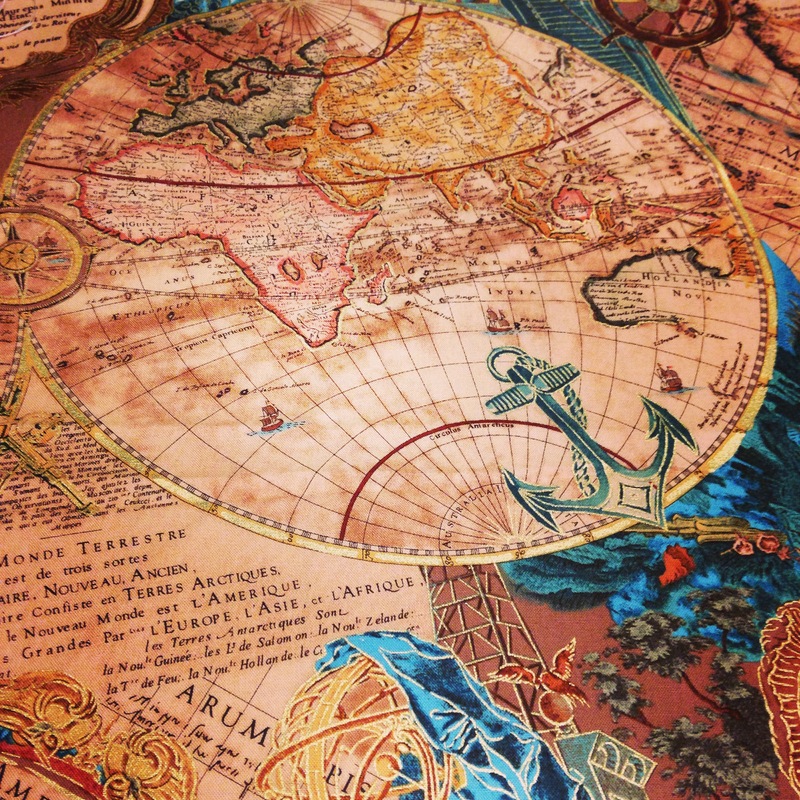 Of course, the back had to be a world map! 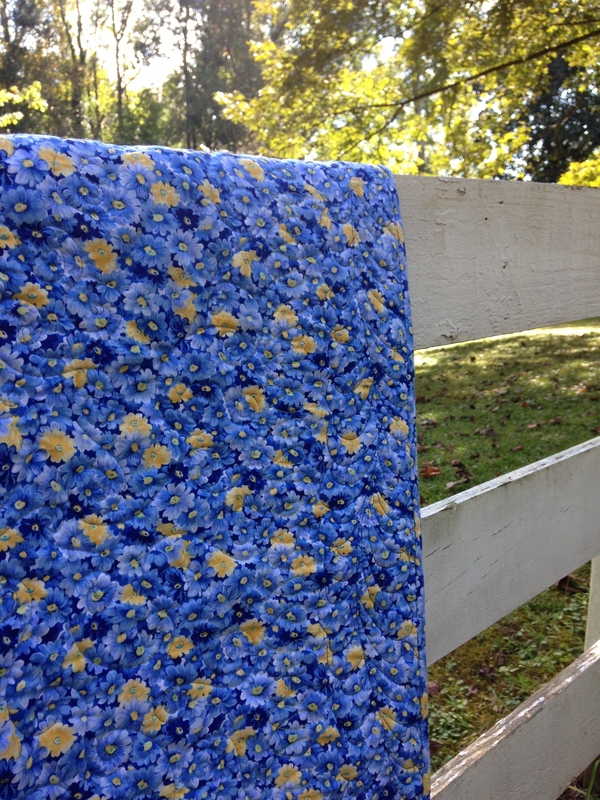 New Homes need a New Quilt! 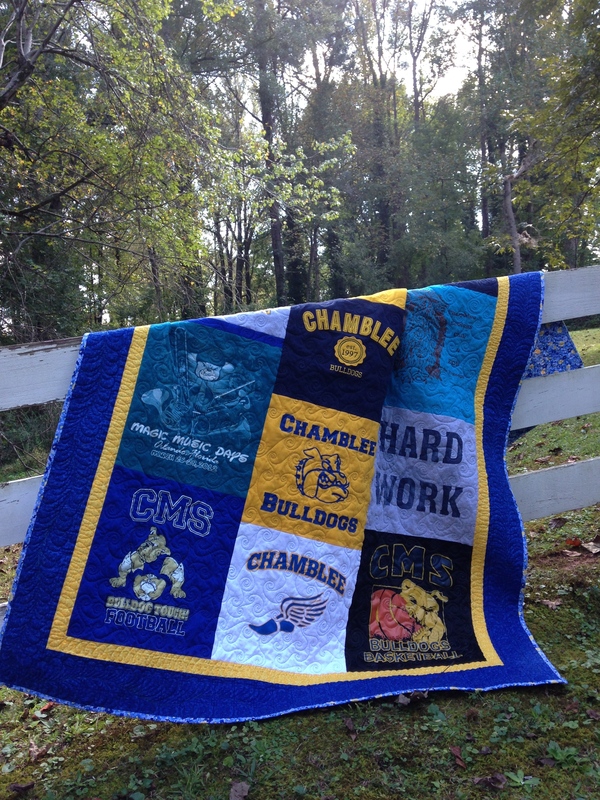 When my good friend’s son was buying his first home, she decided to surprise him with a quilt! 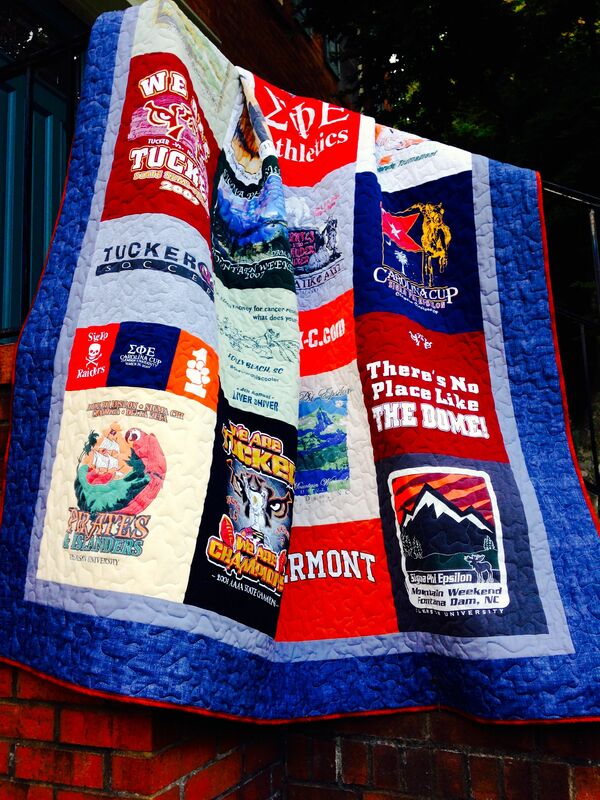 Together, we created a quilt with t-shirts from high school, sports teams, college and fraternity events and travel. 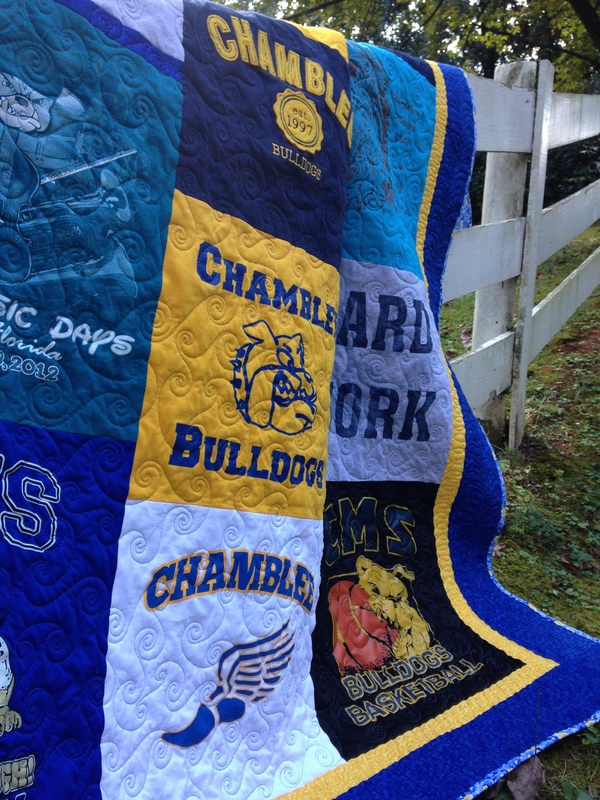 I hope this quilt will be a nice addition to his home! Go tigers…..high school and college!